YOU ARE SOMETIMES THE FIRST SMILING ADULT A CHILD SEES EACH MORNING AND THE LAST BEFORE THEY GET HOME. YOU ALWAYS BRAVE THE WEATHER TO GET OUR KIDS SAFELY WHERE THEY NEED TO BE, WHILE BEING A SHINING EXAMPLE AS YOU DO IT. CT Public School organized a workshop for the school bus drivers in which Ms. Harpreet Panesar, HOD English, applauded the commendable efforts of the bus drivers who rise up early every day to fetch students from homes to school and back. She reviewed the traffic rules and safety norms with the drivers. They were advised not to jump the red light and to follow the road signs honestly.In this workshop, the drivers were made aware of their duties and responsibilities towards the children and maintain their records. They were also told about their code of conduct and how to deal with parents and children in the bus. They were counseled about the upkeep and maintenance of their vehicles, how to take a turn and park their vehicles. Many situations and necessary responses were also discussed with them.Principal, Mr. Daljeet Rana assured the bus drivers to provide necessary assistance whenever required and advised them to work in coordination with each other. The workshop helped and enriched the drivers to provide better services to the school and the students. Sports play an important role in shaping the personality of a child.Keeping in view the importance of games and sports for holistic growth and development of children,a Soccer tournament was organised at CT Public School on 15April,2019 for classes II and III,in which the players exhibited sportsmanspirit with a great zeal and enthusiasm.The tournament was between IIA and IIB and IIIA and IIIB and it was really a feast for the eyes to behold as both the teams displayed amazing levels of energy. Rightly said,”Genius is 1% inspiration and 99%perspiration.”IIB andIIIA emerged as champions,scoring 3 and 4 goals respectively.The Principal,Mr.Daljeet Singh and Vice Principal,Ms.Sukhdeep Kaur who were the chief guests on the occasion lauded the efforts of the teams and inspired the players to exhibit their potential and teamwork in future events.CT is grateful to the management for providing all the ultra modern facilities to students to face the challenges of life. Pre primary to Primary - One step forward towards Education "
As students of Kindergarten have proceeded towards Grade I , CT Public School has taken an initiative to make parents aware about various new methodologies, innovations, activities, rules and regulations and ofcourse a new evaluation pattern by PPT . All the parents were highly confident that there children's future is safe and they are at right place, where strict emphasis is given on their academics, grooming and personality building. Parents appreciated the efforts of management ,Principal and all the faculty members. Principal Mr. Daljeet Rana expressed his immense gratitude towards parents for trusting and showed his commitment for student's excellence. Vice Principal Mrs.Sukhdeep Kaur along with coordinators and CT Team members made 'Orientation - An Interactive session ' a great success. “Beaker Talks”is created for budding scientists,innovators and students looking for a platform to showcase their talents.It’s aim is to provide young minds with guidance and task oriented approach which will help them to build their future.It has experts as speakers mentoring the sessions from the fields of Science,Robotics,Innovation,Space Technology,Literature and Entertainment. Mr.Daljeet Singh ,Principal of CT Public School has been an active member of “Beaker Talks” and it is a proud privilege to announce that he is awarded with “Social Excellence Award,2019 in recognition of his excellence in the field of spreading quality education.His contribution in generating awareness among students and inculcating a desire in them to explore and learn about science as well as other career options is commendable. The Principal is highly obliged to CT Management for providing him an opportunity and a big platform to serve the student community. CT Management is always committed towards providing the best infrastructure for the students whether it be classrooms,libraries,sports playgrounds or swimming pools. The Vice Chairman of CT,Mr.Harpreet Singh inaugurated the Swimming Academy on 4th April,2019 to provide students with swimming classes to help them beat the summer heat. The pools are made functional in Summers from April to November each year and trainers impart coaching and swimming classes with passion.The swimmers then participate in Inter School and School National Championships.The pools have been filtted with standard equipment such as starting blocks,cane ropes,filtration plant and safety equipment. This will cultivate excellence in the water to advance self knowledge,confidence and resilience among students,fostering a life long love of water.The Principal,Mr.Daljeet Singh and Vice Principal,Ms.Sukhdeep Kaur stated that by taking such initiatives we are trying to provide our best services to the community.The swimming coaches,Mr.Raman and Mr.Manish and players of swimming team were enthusiastic and delighted at the occasion. “Words alone are not enough to express how happy we are that you are celebrating another year of your life!Our wish for you on your birthday is that you are,and will always be,happy and healthy.Don’t ever change! The staff of CT Public School celebrated the birthday of worthy Ms.Parminder Kaur Channi,the co chair person of school on 4th April,2019. It was an enticing day and a cheerful moment for all the CT members.The Principal offered bouquet of flowers and the Vice Principal presented a beautiful birthday card as a token of love and respect. All CT members wished ma’am a healthy and prosperous life. Shri Sukhmani Sahib Paath was organized in CT Public School on 3rd April,2019 to invoke blessings from the Almighty for the growth and development of the school, blessings for the new session and for the well being and prosperity of all. The paath initiated at 10.00 am.All the staff members, and students of the school and college as well as parents attended the paath.We were blessed and honoured by the presence of our worthy Co-Chair person,Mrs.Parminder Kaur Channi,Principal sir,Mr.Daljeet Singh,Vice Principal,Ms.Sukhdeep Kaur, Hostel incharge,Ms.Ranjana ,Madam Ms.Dhami and other dignitaries of the school management committee. After the paath, the staff performed shabad singing, that filled the ambience with spiritualism.The hymns that were recited enhanced our faith in the Almighty within our mind.After the shabad singing ,Ardaas was done followed by the prasad distribution and Guru ka langar. Thought - Provoking motivational talk with professionals who have achieved success in their fields. “IT’S NOT WHAT YOU ACHIEVE,IT’S WHAT YOU OVERCOME. THAT’S WHAT DEFINES YOUR CAREER." Choosing a career path is a big decision to make , so our school has organised a workshop led by Principal Mr.Daljeet Rana and Mr. Virat Rehan A.P (CA dept.) CTIMIT , aimed at driving career awareness and inspiring success in students. They opened up students’ mind to possibilities, connect them with professionals from a wide range of careers to expose them to the dynamic career options available to them. This workshop enabled the students to obtain information, advice and inspiration to plan their own career journeys. The students were given the opportunity to ask and resolve all kind of questions - big and small- in their minds and this helped them to gain a deeper understanding of their fields of interest. It is especially curated to motivate the students when the pressure of exams, expectations and competition tears them down. The time before the exams is bit stressful for the students.We all know the feeling.But after exams ,it is time to relax and refresh to welcome the new session. Keeping this in mind ,CT Public School planned an outing for the hostelers and they were much excited to go for this much awaited outing to Sarb multiplex.The teachers were much more fun now and the students felt so good to be like friends to them.The whole hostel was full of hustle and bustle when the students were seen making their way towards their respective buses.The enthusiasm was really infectious.Their smiles spread from them to their accompanying teachers as well as to the local people in the cinema hall. CT takes special care of the needs and interests of its students at hostel and provides all the parental love and care.The children clearly enjoyed the day to the fullest and created beautiful memories as cherished by them for a long time to come. They presented heartiest thanks to the Principal and Management as well for such a great care at the hostel which binds all the members like a family. The declaration of the result of classes Nursery to VIII, 2018-19 on 25th March,2019 brought immense joy to the members of the CT family.The students and teachers greeted each other with smiles and sweets.This year as in the past,all students emerged in flying colours. The outstanding performance is credited to the dedication and hard work of the teachers, students and co operation of the parents.The school promises to maintain the high rate of success in the coming years. The Principal ,Mr.Daljeet Singh and Vice Principal ,Ms.Sukhdeep Kaur congratulated all on their success. The Management also applauded the efforts of the students and motivated them for higher levels of achievement. “A women’s grace and charm makes heaven of a “home”and the “world”. 8th March is internationally celebrated as the “International Women’s Day”Empowering girls and women through education is a major driving force behind CT Public School.Happiness filled the school campus at CT when all the staff members celebrated joyously the International Women’s Day. It is a global celebration for the economic,political and social achievements of wpmen in the past,present and future. It ia important occasion for all of us to pause for a moment to reflect on ourselves to sppreciate how much has been done and what more needs to be done in the field of gender equality. It is the day to acknowledge all men and women in the world for making this world a better place for everyone to live in. AXIS BANK ROLLS OUT “GO GREEN—A DRAWING AND PAINTING COMPETITION AT CT PUBLIC SCHOOL. The students were asked to draw and $paint on the given themes.Amazing talent was discovered during the event. Representatives of the bank highly appreciated the tremendous efforts of the children. All the participants were given participating certificates and the following winners were awarded prizes. The Principal,Mr.Daljeet Singh and Vice Principal ,Ms.Sukhdeep kaur applauded the efforts and work done by the students. The declaration of the result of classes 9th and 11th,2018-19 on 1st March,2019 brought immense joy to the members of the CT family.The students and teachers greeted each other with smiles and sweets.This year as in the past,all students emerged in flying colours. The outstanding performance is credited to the dedication and hardwork of the teachers, students and cooperation of the parents.The school promises to maintain the high rate of success in the coming years. The Principal ,Mr.Daljeet Singh and Vice Principal ,Ms.Sukhdeep Kaur congratulated all on their success.The Management also applauded the efforts of the students and motivated them for higher levels of achievement. CT Kindergarten organised trip to amusement park Wonderland. It was fun filled trip where little ones enjoyed rides like dragon ride, train ,caterpillar ride. Students were also served snacks and lunch.Overall it was great stress buster outing for kids before the exams and graduation party for the UKG class who will be going to move one step ahead to class one. Mrs.Gurdeep Kaur, the Principal of Sh.Harshad.C.Valia International School,Andheri West,(a 60 year old cosmopolitan educational society) paid a visit to CT Public School and appreciated the efforts of the school in rendering a significant service to the society by converting impressionable minds into responsible citizens and good humanbeings. The Principal,who is the receiver of Indian IconAward,2019 was highly impressed by the world class infrastructure of CT and stated that it was really a great pleasure and a wonderful experience visiting the school,which is one of the leading institutes of North India. She was influenced by the significant range of learning and leadership opportunities for every student as well as sporting, cultural,outdoor educational and musical experiences.According to her,the CT hostel is one of its own kind not only in Punjab but in NorthIndia which makes CT a school with a difference. She was hopeful that the school is going to prosper and reach pinnacles of success under the able leadership and valuable guidance and experiences of the worthy Principal, Mr.Daljeet Singh. A Delhi based National Hindi Magazine,”Wednesday Times”is a leading national magazine published from New Delhi.The vision of this team is to empower and upscale the educationists to take them to the pinnacle of success.A national summit of principals was held on 24 February,2019 at DPS Dhuri on Manthan inviting over 200 principals of Punjab,Haryana and Himachal. Mr.G.Bala Subramanian,former director academics,CBSE and Dr.A.Senthil Kumaran ,chief confluencer and co founder, The Learners Confluence,Mr.Sheikh Karrar Hussain,chief editor of Wednesday Times,Magazine Career guide were the main speakers. It is a matter of great pride for CT Public School that the worthy Principal,Mr.Daljeet Singh was honoured with “DRONACHARYAAWARD”for his brilliant work,contribution and excellence in the field of education.He is a great inspiration for all educators. Congratulations and best wishes for a great initiative for uplifting the education system of India. It is indeed true that the best moments of life are those where there are friends, there is laughter, and there are pranks and above all unconditional love and promises to remain friends forever. Where might one think of getting all this together? 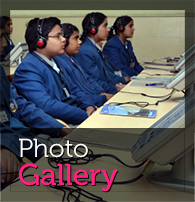 It is undoubtedly, THE CTPS BOARDING where students achieve all their goals of educational & mind fresh entertainment. CT Boarding celebrated Jan. & Feb. Birthday Bash!!!! Boarders cut cake and served with sumptuous food. Shri Sukhmani Sahib Paath was organized in CT Public School on 26th February,2019 to invoke blessings from the Almighty for the growth and development of the school,for our X and XII class students who are appearing for their board exams and for the wellbeing and prosperity of all. The paath initiated at 10.00 am.All the staff members, and students attended the paath.We were blessed and honoured by the presence of our worthy chairman sir, S.Charanjeet Singh Ji Channi, Co-Chairperson, Mrs.Parminder Kaur Channi, Principal Sir, Mr.Daljeet Singh,Vice Principal,Ms.Sukhdeep Kaur, Counselling and training director, Ms.Amrit Kalsi and other dignitaries of the school management committee. After the paath, the staff performed shabad singing, that filled the ambiencewith spiritualism.The hymns that were recited enhanced our faith in the Almighty within our mind.After the shabad singing ,Ardaas was done followed by the prasad distribution. This is the regular feature of the school followed every year.The school prays for the bright future of the students and wish the coming years bring prosperity for all. “CT PUBLIC IS A PLACE TO LEARN A LOT AND GROW”—-says Principal Munish Chopra. Mr.Munish Chopra,the principal of Bhai Mastan Singh Senior Secondary School,Muktsar and the youngest and permanent member of CBSE inspection team visited CT Public School on 22nd ebruary,2019.He regarded the institute as a learner’s paradise and stated that it is a school with a difference as it is completely child centric,reflecting a symbiotic relationship between the teacher and taught. The school offers great infrastructure and activities that prepare students for real life. May a happy bright star always light your path. Just live it out to the fullest and have fun! Age hasn’t spoiled you a bit! We wish you a wonderful birthday.We hope all your birthday wishes and dreams come true. CT Public School always create a congenial atmosphere for their employees. Birthday Party was organised in our campus in which team members having their birthday in the month of January & February cut the cake and have a lot of fun.